We talked our back neighbor into cutting down a VERY large fir tree that had crept into our yard and was blocking the property line. 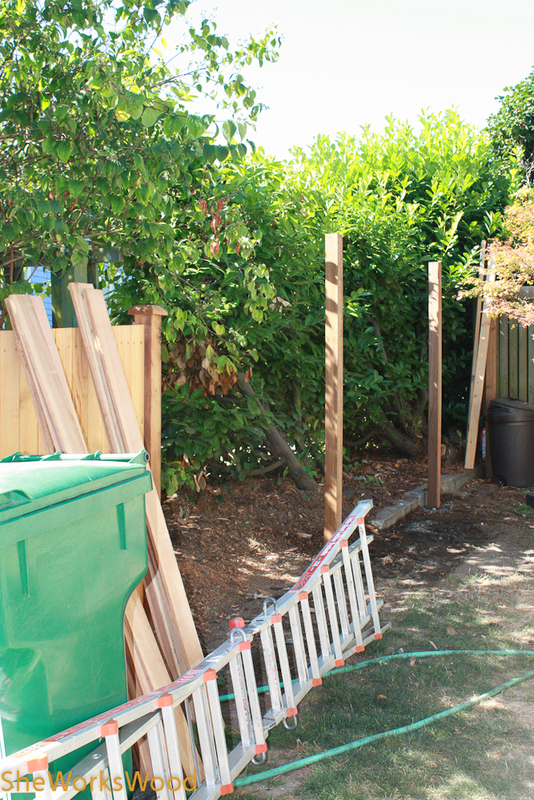 So now we needed to put up the last three sections of the fence. So I installed the posts in the remaining gap. And then on to the laser guided joinery. (Thanks for the tip Chris Wong). 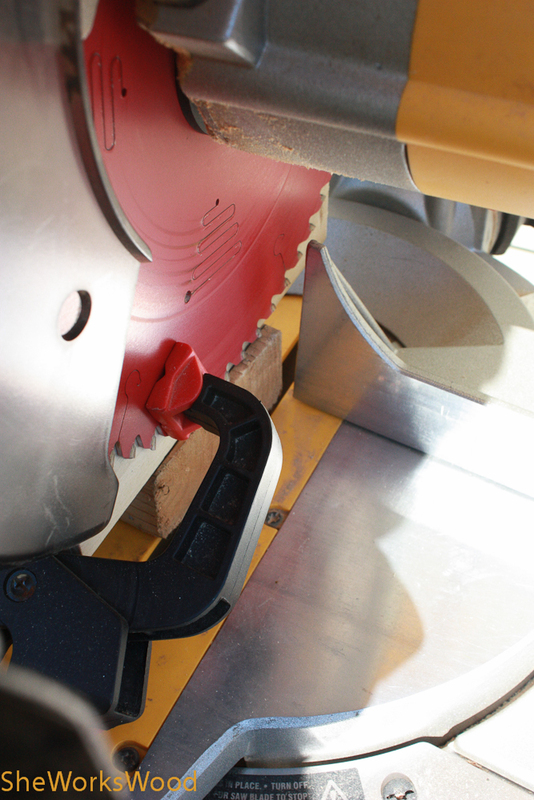 Yes, I clamped a board to the saw blade to make sure I lined up the cut correctly. Then on to the traditional joinery. 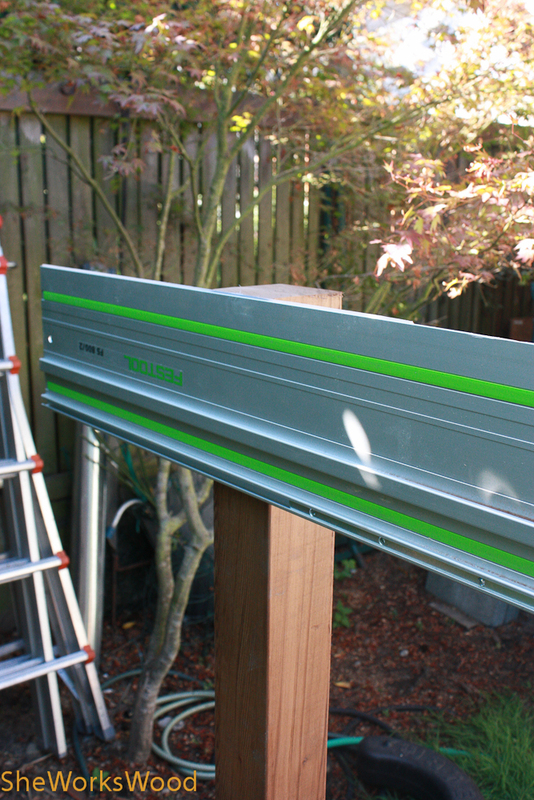 As for trimming the post to the right height, it was Festool to the rescue. Rails in and now on to the slating. Are you getting some of the wood from that fir? No, it was my neighbor’s tree and frankly my wood storage is already maxed out. I think he sold it to a sawyer. Yeah! It made it surprisingly easy to trim the post. 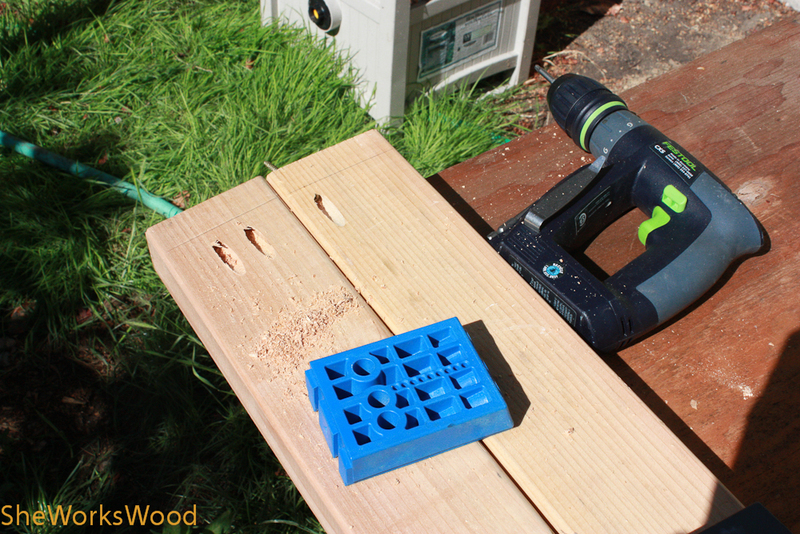 I’m going to cut the tops off of the fence slats the same way. 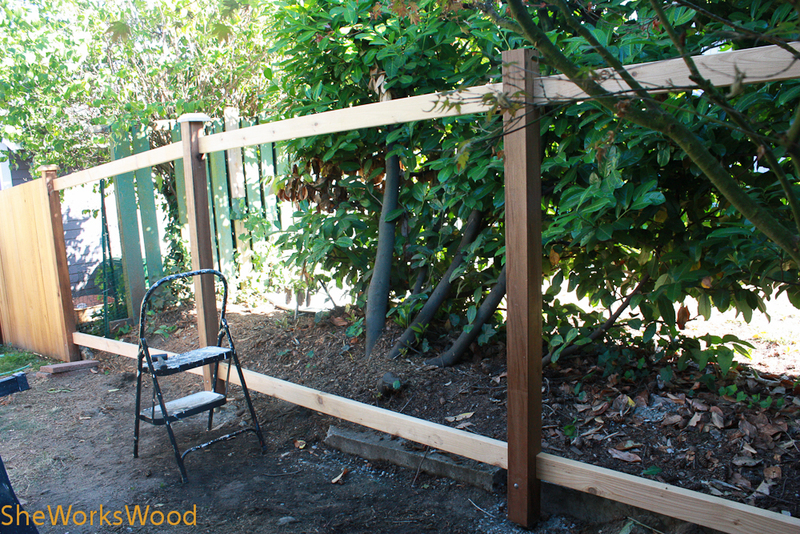 Next Next post: No more posts about the fence .. I promise!